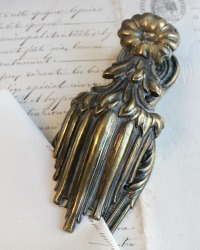 Exquisite 19th Century Gilt Brass Novelty Desk Clip in the form of a tassel topped with a beautiful flower, ringed with leaves, just right for a refined lady's desk, to hold her correspondence. Made in 1845, by Parker's in England. 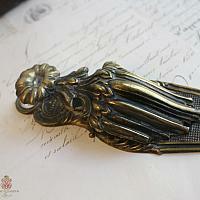 Finely made of gilded brass, this letter clip is one of their more unusual and finer models. This is a genuine period example complete with the English embossed marks. The spring mechanism is in superb working order, there is a hanging hole on the top should you wish to display it on your wall. 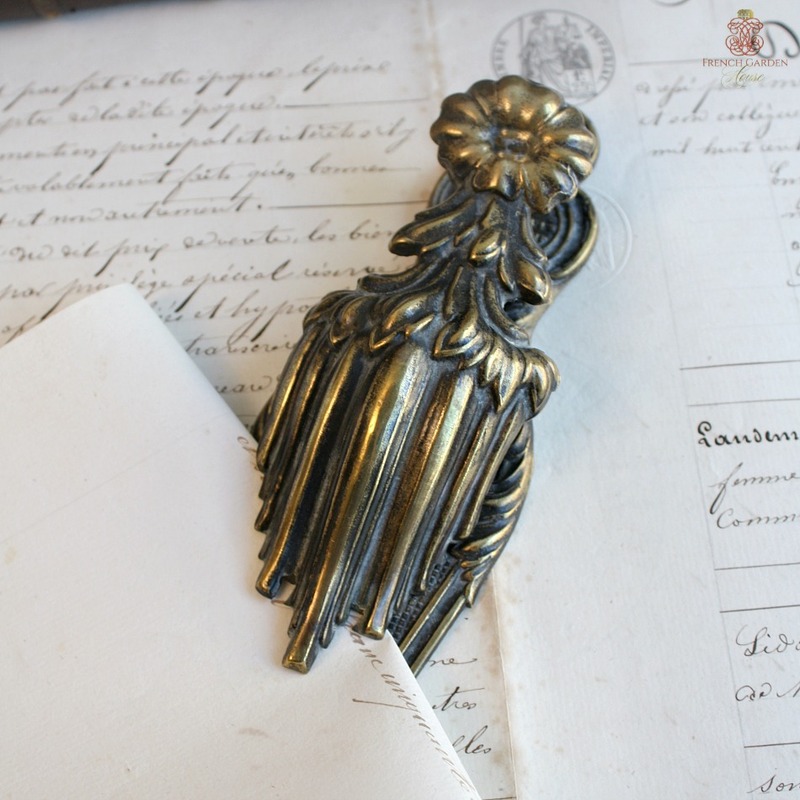 These mid 19th century letter clips or holders are extremely collectable, and getting extremely rare to find in good condition. The color is a dark patina, I have not polished this as I know some of you prefer original patina, but it should shine up beautifully. 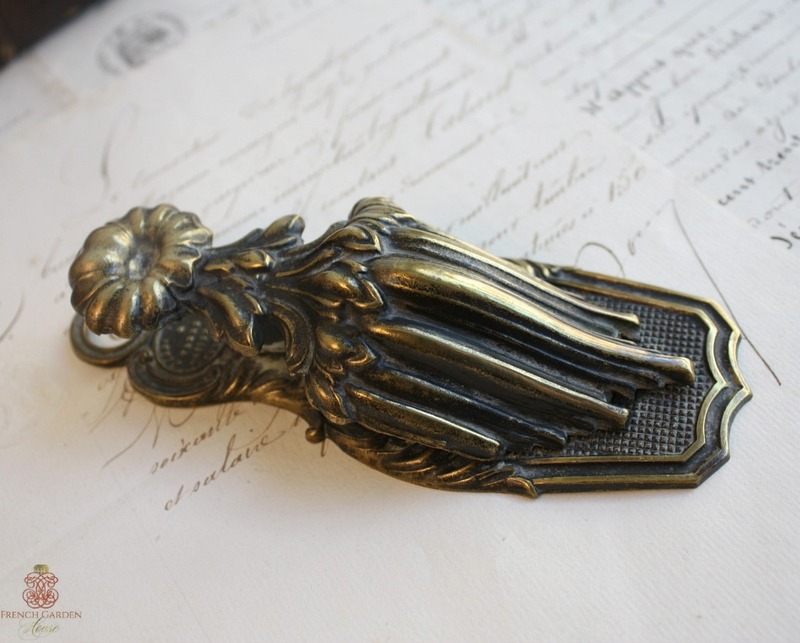 Display with your collection of 18th and 19th century paper weights, on your French desk, this truly is a work of art. Measures 6" l x 2-1/24" x 1-1/4"h.